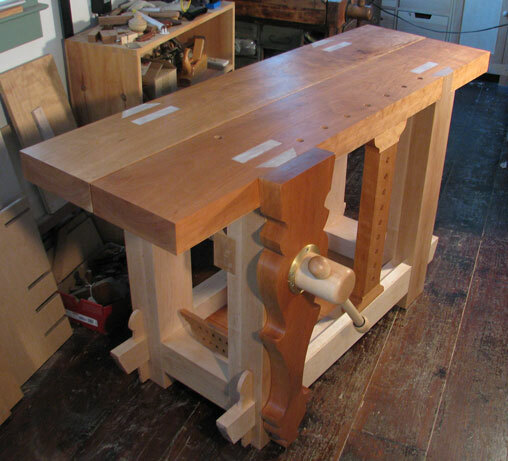 Adding our July 2012 Workbench of the Month from Kari H. of Lemoyne, Pennsylvania to our Lake Erie Toolworks Blog for ease of access and historical awareness. I’d like to enter my workbench in your monthly contest. I’m extremely pleased with the workmanship of your vise and screw assembly. The holding power is impressive and it’s an absolute joy to work with. 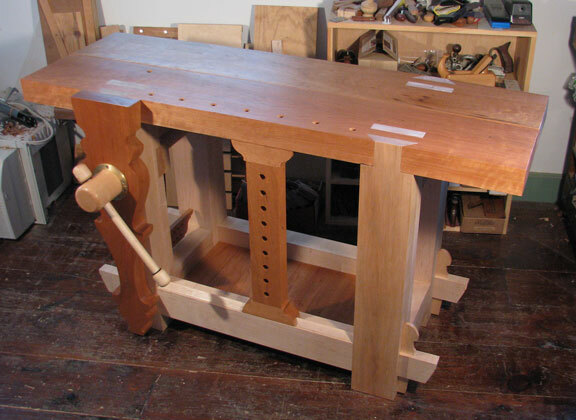 Comments: My workbench is based on the Roubo style, however it’s built to break down for travel. The top is in two pieces—each half slides off the through-tenon/dovetail joints of the legs; the long stretchers are attached to the end assemblies with tusk tenons; the sliding deadman can be removed by lifting up the front half of the workbench top about 1/2″; and the shelf is comprised of individual rabbeted boards that rest on cleats. 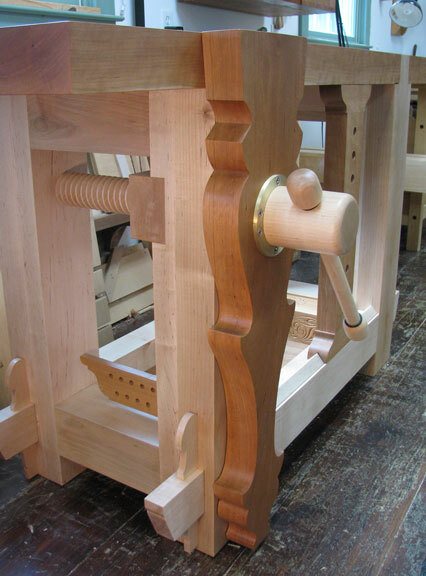 The end assemblies are made up of two short stretchers and two legs that are mortise & tenoned and glued. The bench weighs 200 pounds when assembled. The heaviest piece when disassembled weighs almost 50 pounds—the maximum weight I can carry!